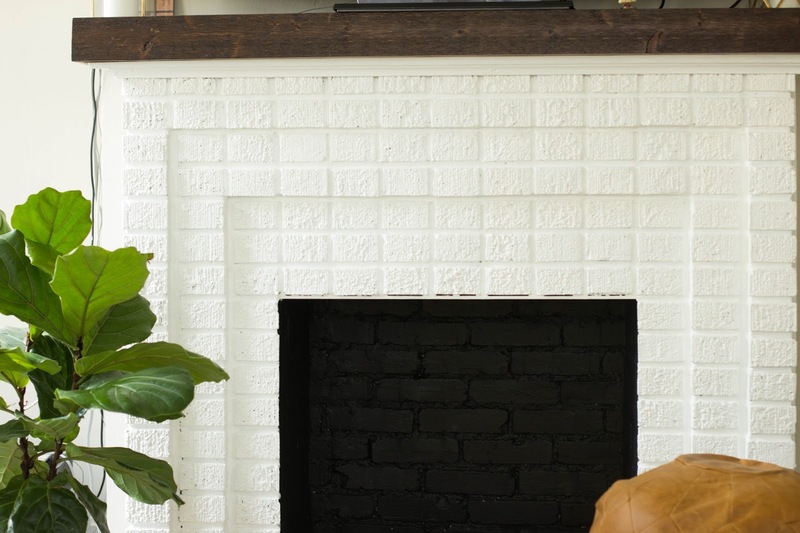 Before it was gray, it was just plain brick without a mantel. 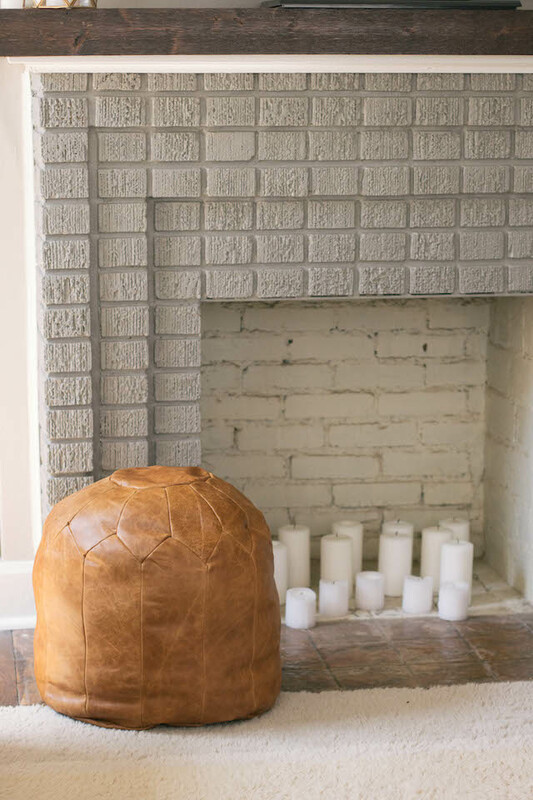 It was not the exposed brick you fall in love with while perusing pinterest. It was just average. 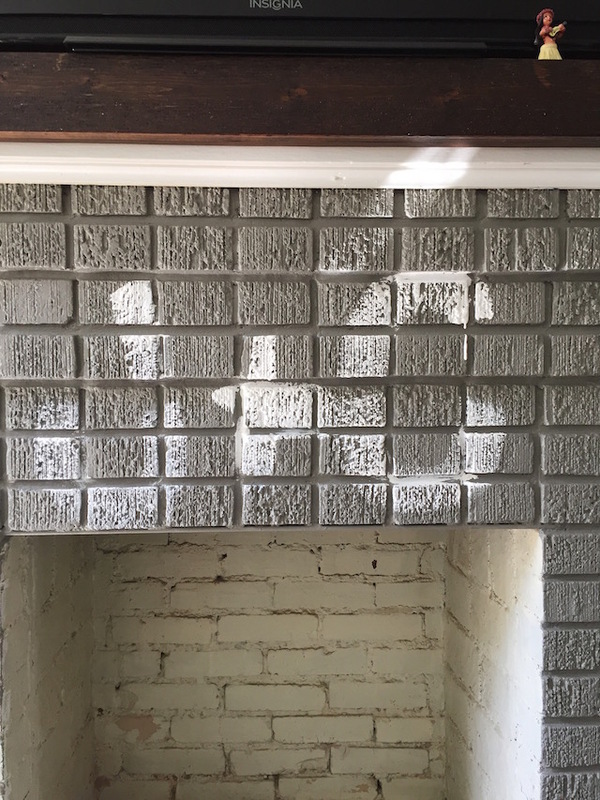 My husband originally painted the fireplace his self when he first renovated our house. 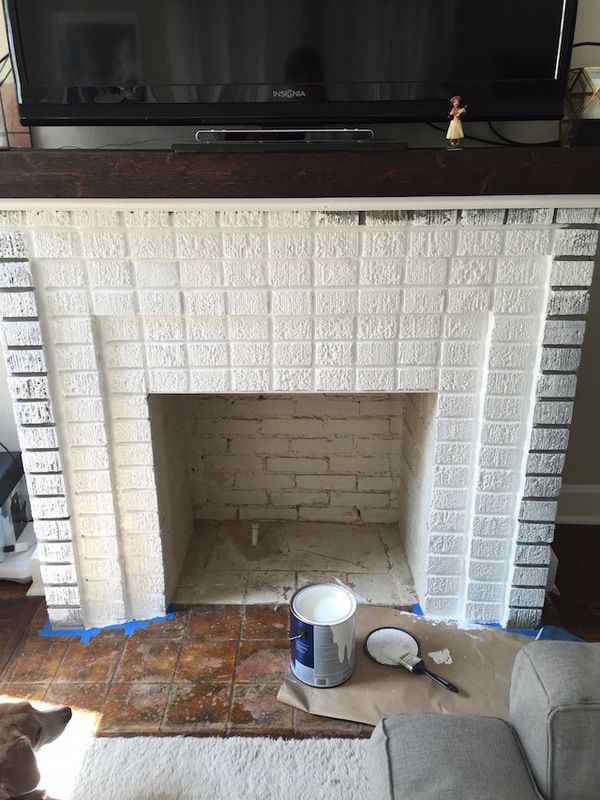 Since he already did the hard work of cleaning the fireplace and priming it, giving it a white coat was a breeze! I got a gallon of Ultra White Valspar paint at Lowes and went to work! 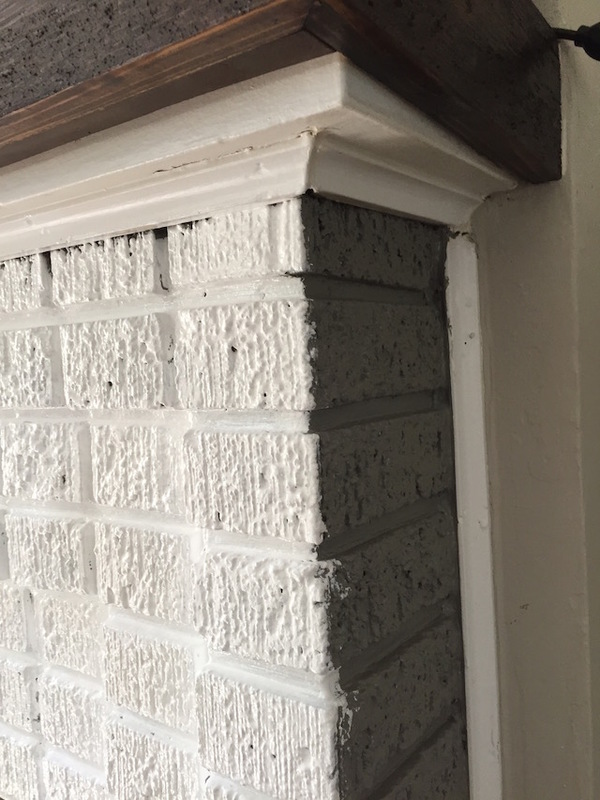 It only took me a couple hours to completely paint it white and after it dried I went back to fill in some spots that soaked in to the brick. A few days later, I went in with a flat black and painted the inside. This made it look so clean! 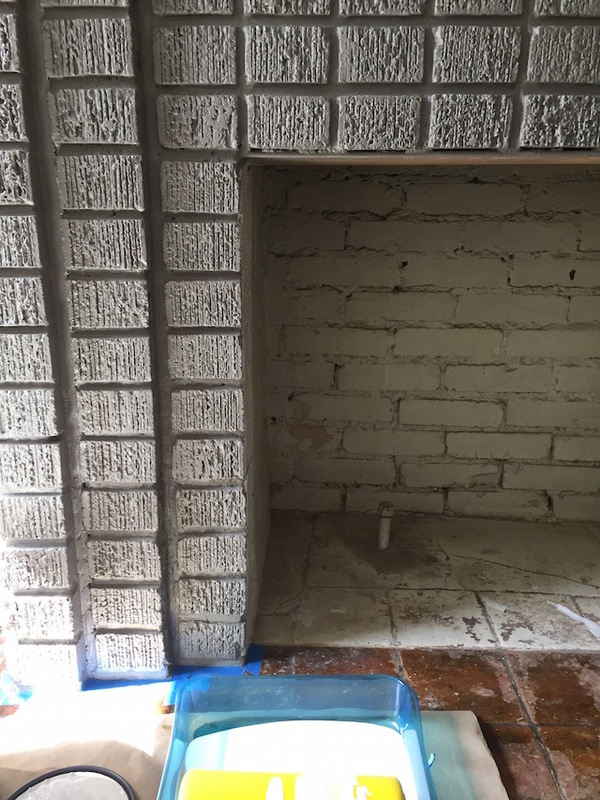 I would love to change the tile to something like a marbled white but we will see if that happens anytime soon. For now, I love the transformation of our fireplace! 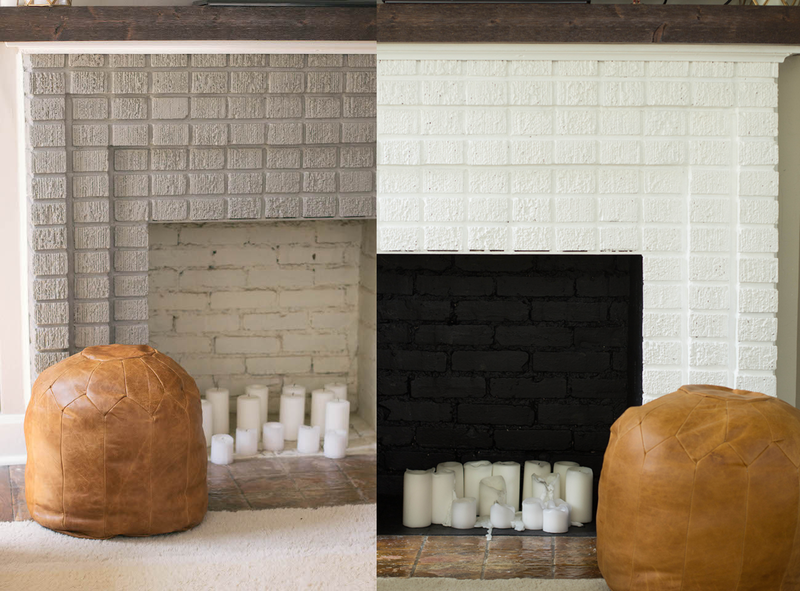 This is a great guide on how to paint your brick or stone fireplace if it is your first time painting. 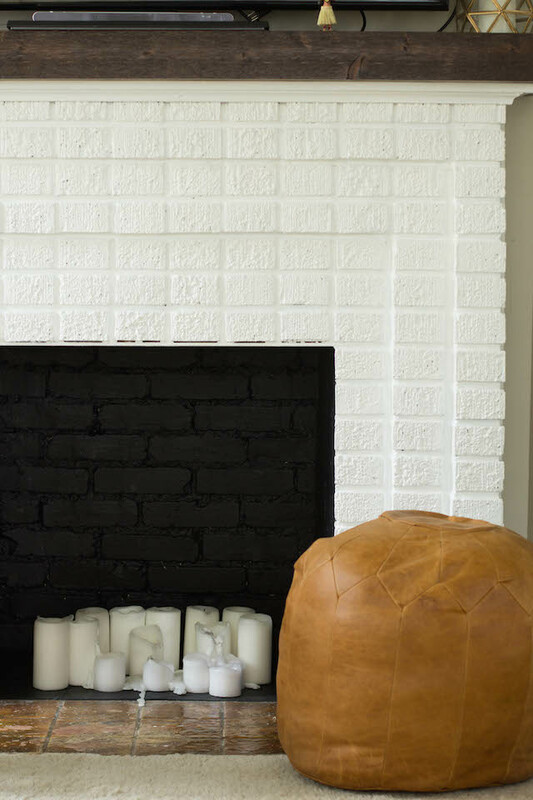 What are your thoughts on painted brick?! Love it! 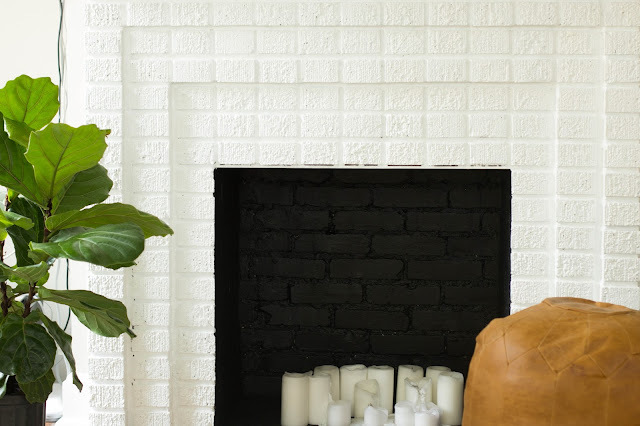 I have a soft spot for white fireplaces. 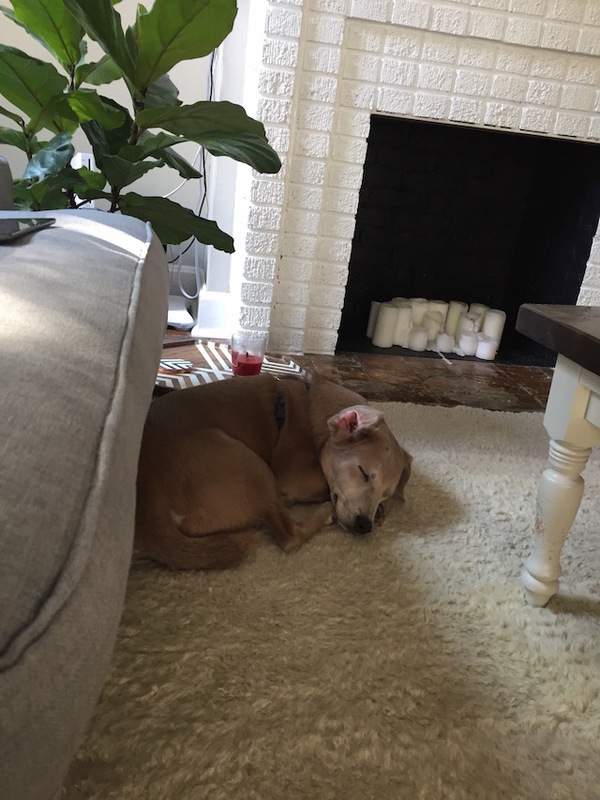 They look so fresh and cozy, at the same time. I totally agree! 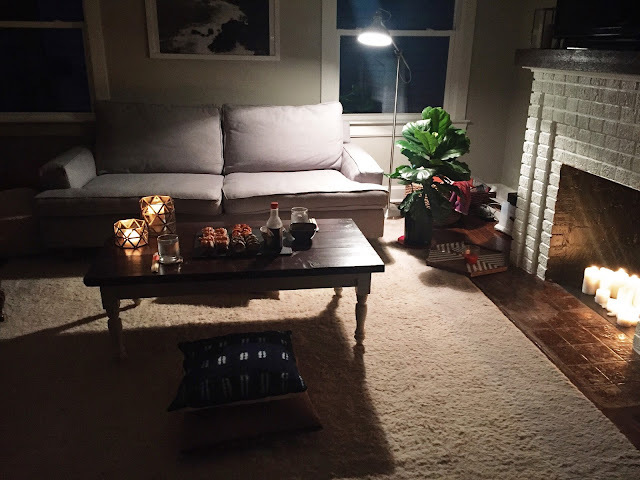 I love how it transformed the space! love this idea! 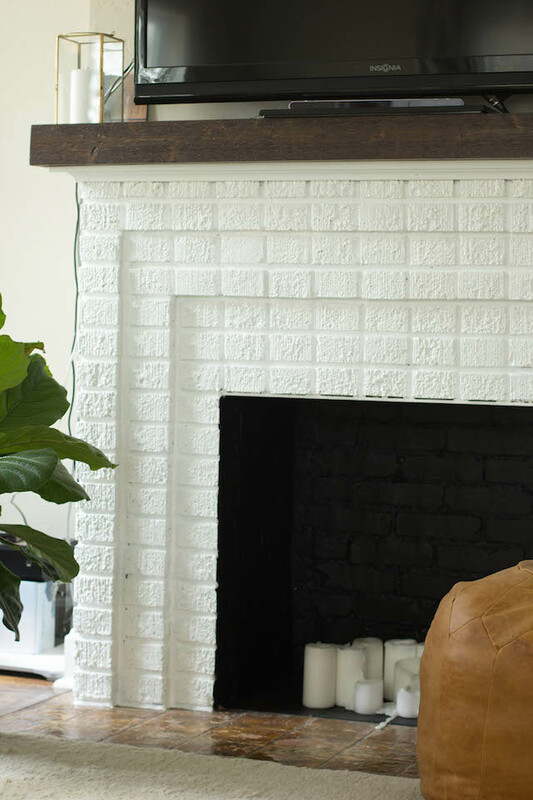 like whitney I also have a soft spot for white fireplaces! Love the candles in the fireplace! Thanks Katie! 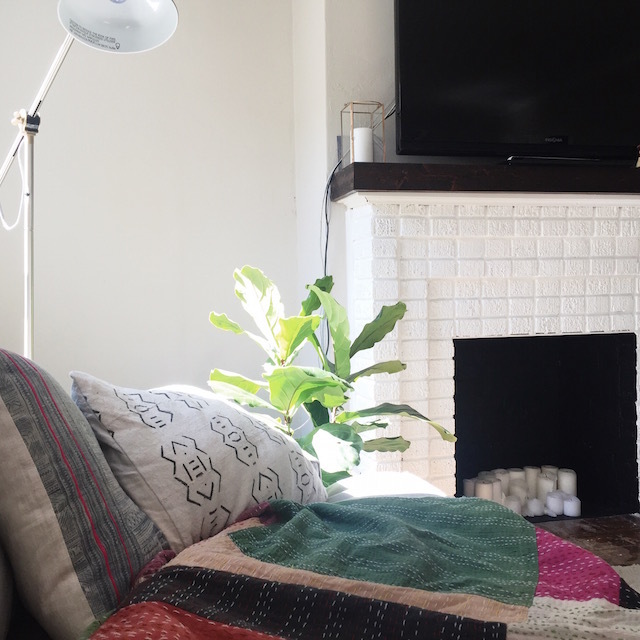 Our fireplace doesn't work so it was the perfect fix, plus it looks so great all lit up. I definitely recommend it!